There are few routine household maintenance chores that pay off more than keeping a maintenance schedule for your air conditioning unit. Not only will you give yourself the best chance at staying cool all summer and avoiding emergency breakdowns, but you’ll also save money on your energy bills. Before working on an air conditioner, ALWAYS start by turning off the power to the unit, which can be done at the service disconnect on your outdoor unit or at the main breaker panel of your home. Your local heating and air conditioning company will always be more than happy to help you with any and all of your air conditioning needs. I liked that you pointed out that I should give my AC a good clean if I am having issues with it. Personally, I can’t sleep unless my room is cold. So, I should probably get a professional to repair my AC if I am having major issues with it this spring and summer. This is some really good information about AC repair. I liked what you said about how you should think about clean out the outdoor unit. I didn’t realize that could create problems if the outdoor unit gets dirty. Amazing post. Thanks for sharing this information. I wanted to thank you for these maintenance tips for an air conditioner. I actually didn’t know that a contactor switch should be replaced if you see excessive pitting. it seems important to know what this pitting looks like so you can replace it as soon as you realize there is a problem. I have people call about these things all the time. Always hire a professional for repairing and maintaining the ac as they have experience in this field and they know how to tackle the situation and also they knows what is the point that needs to change or repair. 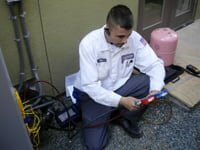 Yes, it is important to maintain your Air conditioner so that they can last long for years.The Tips you have mentioned in the article are incredible and helpful for the users.Thanks for sharing this informative post. In my years of experience in the field of hvac repair, I have encountered numerous cases where the ac unit doesn’t cool properly due to overgrown leaves and grass on the outside unit. I suggest everyone to keep a check on the unit and keep it clean. During cotton wood season I clean outside unit daily ? Learned that lesson years ago! Great tips you have here! I always advise my customers to do a bit of servicing and maintenance on their own. It will be better in the long run in terms of prolonging the longevity of their air conditioning systems. Thanks for the tips. I have an older home, and have had some issues keeping it cool this summer. I cleaned out the coils and replaced the filters, but it still is not working well. I think it could be my thermostat. It is old, and I had never thought it could be malfunctioning. I think I will look into getting a new one. I agree with AC Tip #5. Many people taking this for granted. 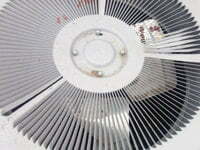 If the outside unit is untidy and full of grass or leaves this also causes problem with your AC unit. For a good ac maintenance you have to clean the outside unit and maintain the free open air surrounding. Checking the wiring is one of the best things that you can do when it comes to your air conditioning unit. Wired can get frayed or severed for a variety of reasons so making sure that they are intact and functioning can save you money and time. Getting your unit serviced at least once a year before you need will ensure that your system is ready for the hot summer months. I have to take a look at my AC before summer hits. Thanks for these tips! Lately my AC hasn’t been doing so hot. I didn’t know that there were steps you could take to make it last longer! I’ll make sure that I get the filter cleaned out more often. Thanks for the information! Change the filter on the inside unit at least every 30 days. 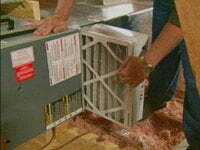 The air will move a lot easier through your system, increase efficiency, and decrease the risk of freeze up. I never even thought of using a hose. Thanks for the tips! Thanks for the tips. I want to get my AC ready before the heat even thinks about getting close this year. With winter almost over I have been looking into my AC and getting ready for summer. I will check the air filter and wiring. I never thought about checking the wiring after winter. Thanks for the advice! I really liked that you mentioned how important it is to regularly clean and replace your air filter. My husband cleans our air filter every few months to make sure that the air coming into our house is clean. Like you said, air filters get dirty quickly, and can cause your air conditioning unit to work harder than it needs to. Just keeping it clean can save a lot of trouble in the future! Great post, thank you for your tips! I absolutely agree that it is very important to clean or replace your air conditioner’s filter regularly, as the article explains. An air conditioner’s filter is a very large factor in its performance, so it needs to be in good condition. Fortunately, making sure the filter is in good condition is one of the easiest things that you can do when it comes to maintaining your air conditioner. Great post! These are some really easy things to check. At this point in the year, you should be able to look back on the summer’s cooling bill. As an AC unit wears and ages, it begins to run less efficiently. When it runs less efficiently, your bill goes up. Any of these tips may fix a minor problem, or help maximize the life of your unit. Does your AC Unit make slight humming noises? Your condenser unit has a run relay in it that may be causing your slight hum noise. 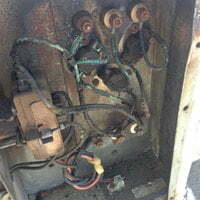 The low voltage control transformer in the furnace also powers the Run relay in the condenser. Try turning off the furnace power either by a local switch by the furnace or the breaker. Then check the hum. If it is gone you may have a bad thermostat. It could be causing some AC voltage leaking thru it causing it to hum but not enough voltage to pull in the relay turning on the condenser. You can also try disconnecting the yellow wire in the thermostat which is the wire going to the condenser and see if it goes away. If not turn the breaker off or pull the disconnect to the condenser and see if it goes away. If it does you will probably need a service tech to investigate further. But my guess is its probably on the thermostat side.